The first review of April for SuperPhillip Central delves into a mobile game that released not too long ago. 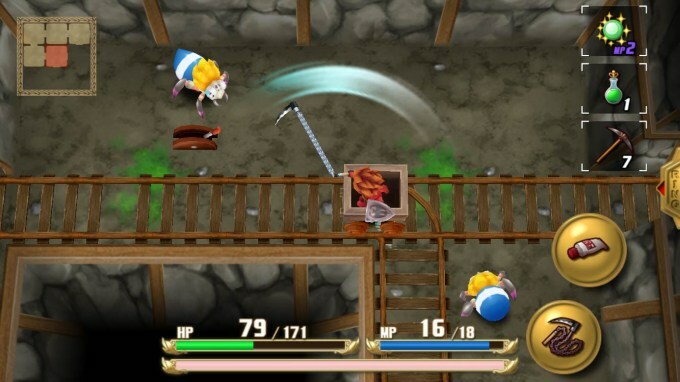 It's an action-RPG that is a remake of a Game Boy classic. It's Adventures of Mana, and here's the SuperPhillip Central review. What a mana, what a mana, what a mana, what a mighty good mana. In 1991, a Game Boy title called Final Fantasy Adventure released in the Americas. It's otherwise known in Japan as Seiken Densetsu, or in Europe as Mystic Quest (note that that is not the same Mystic Quest as what North America got on the Super Nintendo). 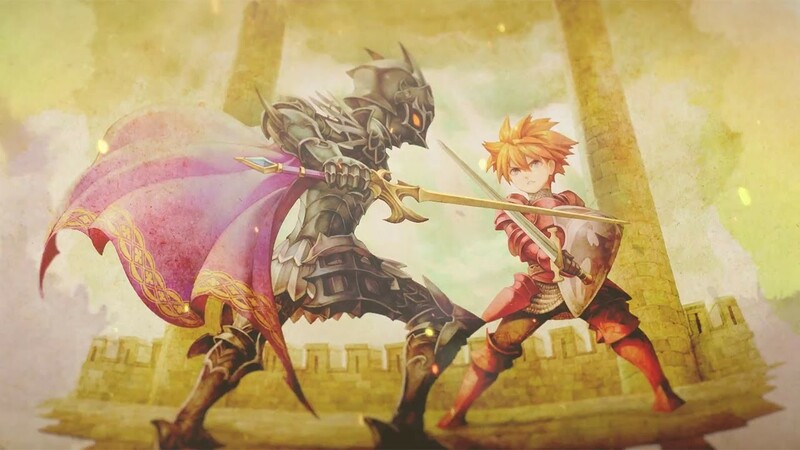 Regardless, now that game of all games has gotten the remake treatment from Square Enix, and unlike its many re-releases of past games on mobile, such as its collection of Final Fantasy and Dragon Quest installments, the remake of Final Fantasy Adventure, Adventures of Mana, has a good deal of new qualities to it that makes it worth its rather expensive price tag (at least for a mobile game) of $13.99. Final Fantasy Adventure has already seen a remake of sorts in the form of the Game Boy Advance's Sword of Mana, and while that title introduced a lot of parts to it that dragged the experience to a slow crawl-- mostly referring to the added story elements-- Adventures of Mana is as straightforward a remake as you can get. The game is fast-paced, light on story for the most part, and it doesn't really hold your hand. 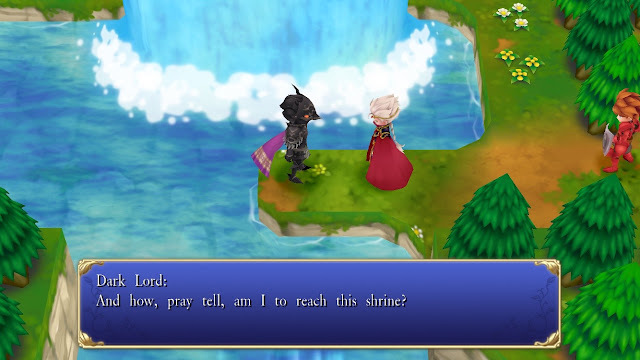 What story Adventures of Mana has is unobtrusive and light. The most obvious change between Final Fantasy Adventure and Adventures of Mana is the amazingly rendered 3D graphics. No more are you just limited to simple black and white sprites and backgrounds. Areas are ripe with color, and the characters get the most out of the new 3D visuals, offering extravagantly detailed models that look amazing. Furthermore, Kenji Ito's original game score of catchy beeps and boops on the Game Boy has been given a glorious symphonic makeover as well, making an already great soundtrack even better. Other alterations made from the Game Boy original to this new iOS and Android version are a quicksave feature that can mess with you in multiple ways (one being if you are poisoned and die after entering a room; since the quicksave saves after entering each room, when you load your quicksave, you'll end up loading the time where you die), achievement support via Game Center, and MFi controller support, my preferred way of playing Adventures of Mana. Otherwise I found myself accidentally running into enemies and traps when I didn't want to because of the less than perfectly precise virtual analog stick. The world map and dungeons are full of ferocious foes to take on and overcome. The closest game I can compare Adventures of Mana is The Legend of Zelda, the NES original, that is. You move from screen to screen on the world map, though enemies do spawn on the screen a second or two after the screen has loaded, making it easy to have a foe spawn on top of you if you're rushing, While The Legend of Zelda was much more about the freedom to explore anywhere you wanted on the overworld, Adventures of Mana is more linear in its exploration. There is generally but one way to go, so you're seldom wondering where you have to go. It's usually that you overlooked something in the environment or in a dungeon. However, as you progress in Adventures of Mana, eventually you gain the use of a Chocobo (this was a Final Fantasy game at first, of course) and eventually are able to swim across bodies of water, being fully able to explore the map. This obviously opens up the game immensely. When you're not exploring the world map, you're entering inside towns and dungeons. The former is just an excuse to stock up on items like helpful health-restoring potions, magic-restoring ethers, door-unlocking keys, and mattocks to bust open cracked walls in dungeons with. It can be rather frustrating to run out of keys and mattocks in the middle of a dungeon, making you have to be forced to leave said dungeon and return to a town to stock back up. Dungeons are home to many battles to win and puzzles to solve. 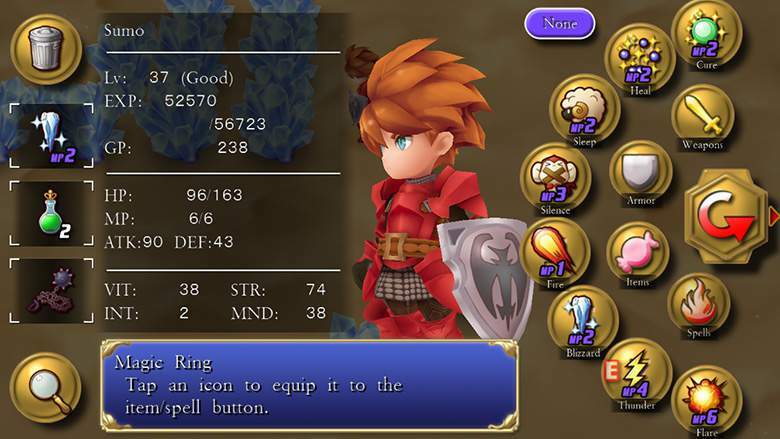 Regardless, Adventures of Mana offers light puzzle elements in dungeons, usually requiring the defeat of all enemies in a room or the use of buttons that need to be pressed or held down. The latter is done by freezing an enemy with the Blizzard magic and pushing the frozen snowman of an enemy on top of a button to hold it down, thus leaving the way to the exit of a dungeon room wide open. Outside of items, you earn weapons to progress through Adventures of Mana as well. There are chains that allow you to swing them around posts to pull yourself across gaps, morningstars that destroy heavily armored foes and rocks, and axes that cut through trees like butter to provide a passage through areas. Not only are weapons great for solving simple environmental puzzles, but different weapons are useful on different enemies. Some won't flinch at all to a sword attack, but use a sickle on them, and they'll be crying home to their mamas. Well, not literally in any case. Boss battles like this are quite common in Adventures of Mana. In addition to new weapons, you earn new armor and shields, too, to boost your defense. Through defeating enemies you also gain experience points that boost your level, rewarding you with a pick of four stats to upgrade by choosing between a Warrior, Monk, Black Mage, or White Mage path upon leveling up. Magic is also earned throughout Adventures of Mana, making the journey all the more convenient, allowing you to use attack magic and helpful support magic like the ability to heal HP and cure status ailments like poison and petrification. Use the intuitive menu to switch between equipment, items, and magic. Adventures of Mana isn't an extraordinarily long game, but it also doesn't overstay its welcome. My initial run through the game took about nine hours total. There's the aforementioned achievements via Game Center to keep you coming back for more (collecting every weapon, every magic spell, every helmet, every armor, etc. ), and the game is just a blast to play anyway, so multiple play-throughs definitely don't hurt. 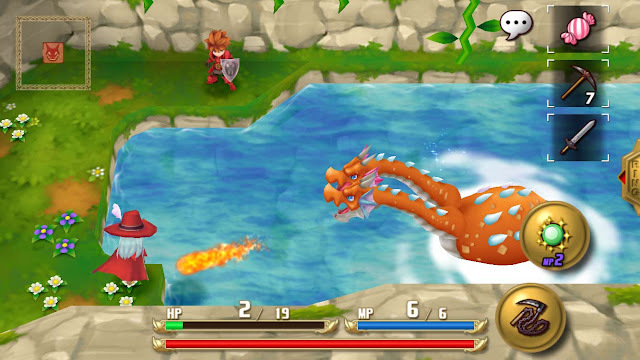 For a remake, Adventures of Mana definitely brings enough new to the table to make it modern enough for today's market. It still offers some old school eccentricities, a lack of hand-holding, and some occasionally obtuse means of progressing. 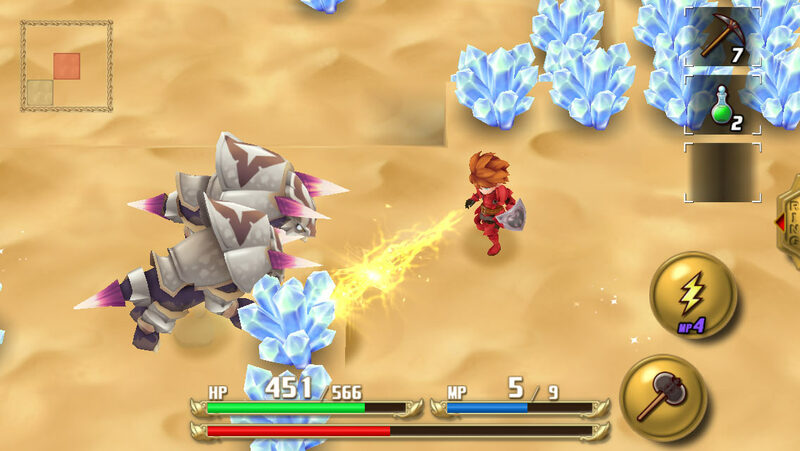 Nonetheless, if you're searching for an engaging action-RPG that isn't overly difficult, features great visuals and music, and plays great, Adventures of Mana is definitely an adventure worth embarking on. Copyright 2008-2018 SuperPhillip Central. Picture Window theme. Theme images by mammuth. Powered by Blogger.